CPP-LA’s provides great Marionette Puppet Shows. Customized Staging and Sound System. One of our world renown puppeteers, will bring to life these beautifully hand-crafted puppets. 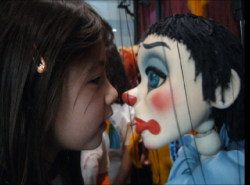 Most themes are based on an award winning Marionette Puppet Show. We provide Puppet Shows that are totally entertaining, not just for kids but for adults too. CPP-LA has provided the best Puppet Shows imaginable, and we’ve been doing them for over 25yrs.